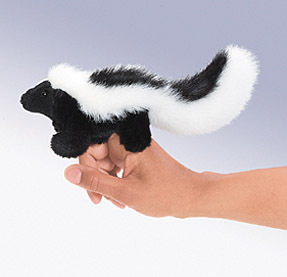 Raise a stink with this Skunk finger puppet! Or simply sit quietly and play. You see, the less alarming you are to him, the less alarming he'll be to your nose. Scent glands not included. Measures 8" long.